It all began in 1999 when Kevin Ashton came up with the term Internet of Things. This revolutionary technology has since then gained popularity across the world. There is also the mobile platform that has been advantageous to businesses whether it is a start-up, medium or big business. Now technology has advanced in such a way that there is a blend of IoT and mobile apps that can be benefited from innovative solutions. We all are aware of the significance of real-time monitoring. For the uninitiated, it assists in mitigating the risks related to business operations and day-to-day activities. Safety compliance can be proactively done suppose any mishap takes place. IoT-enabled apps can be advantageous to the businesses to keep in pace with daily tasks for mitigating the possibility of human errors. There is also a rise in the efficiency of employees that leads to good productivity. The real-time insights have the potential to make your business flourish. The management can be abreast of everything and they can make informed decisions rapidly dependent on this valuable insight gained. Now, let us take the example of the service technicians who can obtain notification about the maintenance of the equipment. IoT apps have the advantage of being accessed from any location. For example, let us consider that you are not available in the workplace. Still, you can supervise your work and share your input from your specific destination. 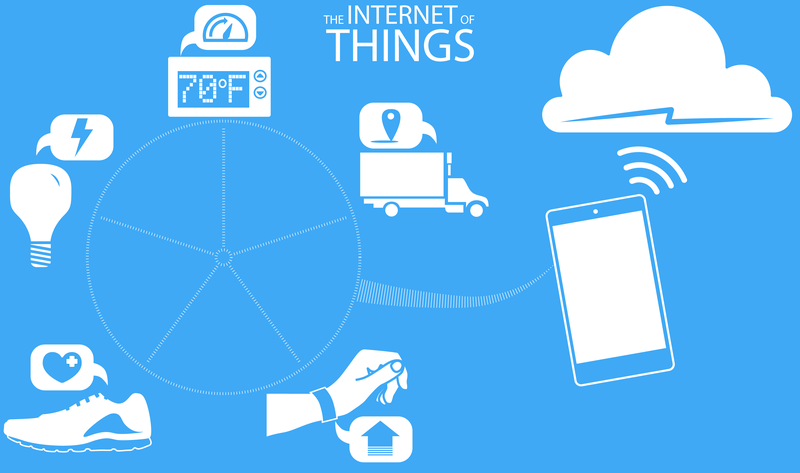 IoT gathers a lot of data concerning the user’s behavior and functionality. It helps the management to assess the present practices and being an innovative differentiator. IoT also acts as a powerful interface between companies and customers. Contemporary IoT apps can add value to a business in a plethora of ways. In the near future, we can expect to witness revolutionary changes in the domain of mobile app solutions, thanks to IoT. It can be concluded that current-day mobile platforms and IoT will complement each other to provide more secure and competent mobile solutions.